← How Do I File a Canon Lawsuit? Why is Philomena No Longer Considered a Saint? A: Philomena is not, and has never been a saint. Many Catholics erroneously believe that Philomena used to be a saint, and was somehow “decanonized” by Pope John XXIII in 1961. 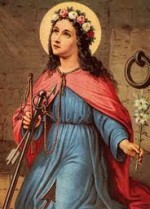 In fact, the action taken that year by the Congregation of Rites—which back then had jurisdiction over matters pertaining to the canonization of saints—actually clarified and made more consistent the canonical status of the person commonly known as “Saint Philomena,” which up to that point had been quite confused. But the surprising refusal of some lay-Catholics to accept the Vatican’s pronouncement has subsequently caused the confusion surrounding Philomena to be greater than ever! Since she still is (wrongly) regarded by many as an early-Christian martyr-saint, let’s take a look at how the Church came to venerate martyrs in the first centuries of Christianity, and then see how Philomena fits—or more accurately, doesn’t fit—into the equation. the actual code itself (c. 1403.1). In the same column, we saw that the authority to canonize new saints was reserved to the Pope in the late 12th century. Ever since that date, a new saint, martyr or not, can only be added to the Church’s lists of canonized saints by the Holy Father. For the past 800+ years, therefore, no bishop, no religious superior, no king or emperor could declare that this or that person is henceforth to be considered a saint. The Pope alone can do this! But by the 1100’s there were already thousands of persons venerated throughout the Christian world as saints, who had never been through the “process of canonization” that developed later. These included, of course, many martyrs who were killed during the Christian persecutions in the first centuries A.D. How did they come to be regarded as saints? It’s important to keep in mind that in the earliest years of the Church, there was no established concept of “saints” or “canonization.” The veneration of deceased Christians developed quite spontaneously, when active persecution of Christians began in the Roman Empire in the first century A.D. Christian survivors buried their dead, who had lost their lives because of their belief in Christ, and began paying tribute to them on the anniversaries of their deaths, with annual liturgical commemorations. 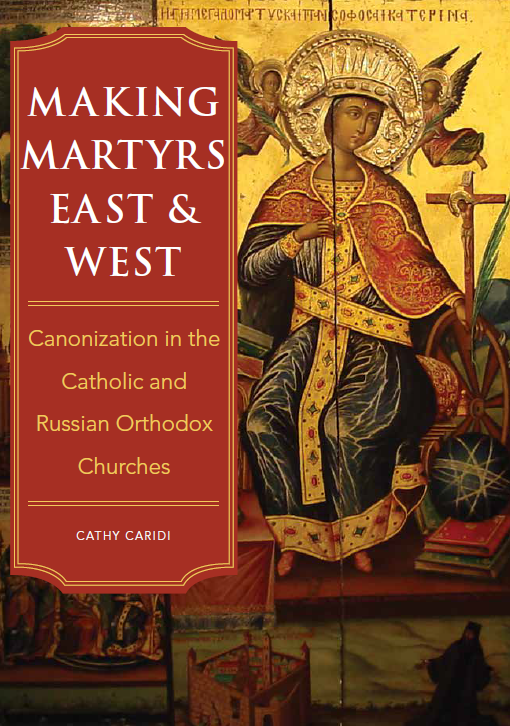 This started out as a purely local practice, but some of the better known cases of Christian martyrdom came to be commemorated in other areas of the Christian world as well. The martyr Saint Lawrence is a case in point. Traditionally, this 3rd-century deacon of Rome allegedly refused to cooperate with Emperor Valerian, who wanted him to hand over the “riches” which the Christians were believed to possess. Lawrence was (it is said) subsequently killed by being roasted on a gridiron. Putting aside the specific details of this account for the moment, we nevertheless can safely say that a Christian named Lawrence really was killed for his faith in Rome in the 3rd century A.D., and Roman Christians almost immediately began annually commemorating his death (or, more accurately, his birth into eternal life). Mentions of the Roman martyr Lawrence are found in liturgical records from the 4th century, and his memory had clearly spread to northern Africa by the 5th, because extant written records from this period already mention his feast-day. In the meantime, archaeological evidence indicates that Roman Christians built a church or chapel in his honor in the 300’s A.D., after the legalization of Christianity gave them the freedom to do so. It’s not impossible that the stories one reads about his conversations with the Roman Emperor prior to his execution, and/or the grisly stories of the gridiron, are confused or even completely incorrect. But the fact remains that there really was a Roman named Lawrence, who died in the first centuries of Christianity, and was commemorated by his fellow Christians as a martyr! Although there never was a “canonization process” for him, the Church today accepts that he and many others like him are worthy of veneration as saints—because Lawrence’s fellow-Christians, who obviously were far more familiar with his life-story than we are, had begun this veneration long before the concept of “canonizing saints” even existed. Now let’s contrast the historical information we have about Lawrence, with that which we know about Philomena. A body was discovered in a Roman catacomb in 1802, and the tomb’s inscription included the name “Filumena” with some carved symbols beneath it. Note that there is no archaeological evidence that this person was a martyr. The mere fact that she was buried in the catacombs, in and of itself means nothing: the catacombs contained the bodies of any and all deceased Christians, whether they were martyred or died a natural death. There is no literary evidence of any martyr (or any other early Christian, for that matter) with this name. The names of hundreds of early Christian martyrs are included in early liturgical calendars, the stories of their lives (exaggerated or not!) are recounted in collections of saints’ lives from the early Middle Ages or even earlier, and archaeological evidence often exists that shows these saints were already being venerated in the years following their deaths, by persons who would have directly personal knowledge of their lives and their martyrdom. But among all the documentation, you will search in vain for even one mention of anybody named “Philomena.” In fact, this may actually not be the name of the person in the tomb at all, for the Greco-Latin roots of the word simply mean “lover of the light,” and thus the tomb-inscription may have been intended as a description of the deceased person rather than her personal name. Since nothing at all was known about this person, the Catholic Church understandably could not, and therefore did not, canonize her when her body was discovered. Indeed, no canonization process was ever initiated on her behalf—for the documentary evidence required to support such a cause simply does not exist. But some years after the discovery of the remains, a religious sister in Naples claimed to have had a dream about Philomena. The sister claimed that Philomena told her she had been a Greek princess, who was subsequently martyred during the Roman persecution under the Emperor Diocletian in the early 4th century. She purportedly described in detail the torments to which she had been subjected, which some subsequently argued perfectly match the carvings on her tomb of an arrow, an anchor, and apparently a rod of flagellation. Devotion to the martyr Philomena subsequently intensified, and numerous miracles were alleged to have been performed through her intercession. Philomena’s remains were taken to Mugnano del Cardinale, Italy, not far from Naples. A shrine was built in honor of “Santa Filomena,” and a priest associated with the shrine soon published an account of miracles which he declared had been performed through her intercession. In 1837, the Prefect of the Congregation of Rites publicly asserted that Pope Gregory XVI had approved of the Congregation’s decision permitting local recitation of the Office, and celebration of the Mass of a Virgin Martyr, in honor of Philomena on August 11. Her veneration spread to France, where Saint John Vianney (d. 1859) famously used to encourage his parishioners to pray to Philomena for the answer to their prayers. Sounds like she’s a saint, doesn’t it? But the reality is that there are grave problems with almost every single element of this story. No wonder Catholics are confused! Let’s take this information apart, piece by piece, and the true situation should become much clearer. For starters, the Catholic Church does not canonize saints based on information from dreams or visions. This isn’t a recent decision, either: one of the many Councils of Carthage, in about 401 A.D., reprobated the erection of altars to, and the veneration of anybody as a saint, based solely on “dreams or other foolish so-called revelations.” While we presume that the decrees of this council initially only pertained to the Church in northern Africa, this particular decision (like so many others in the early Church) was subsequently embraced by the Church as a whole. The reason for this should be obvious: if a person is to be venerated as a saint, the Church wants hard, concrete evidence of his sanctity—and dreams don’t fit the bill! Secondly, many miracles are alleged to have been performed through the intercession of “Saint Philomena.” But only the Holy Father has the authority to determine that an event or a medical cure (a) constitutes a miracle, and (b) was obtained through the intercession of a particular individual. Such has been church law since Pope Urban VIII issued his decree Caelestis Hierusalem cives in 1634. 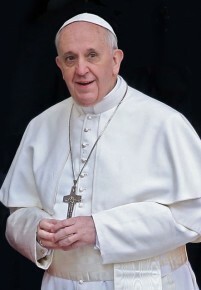 In this document, the Pope complained openly about the abuses regarding (among other things) the dissemination of factually unreliable “Lives of the Saints,” attributing miracles and describing revelations allegedly given to various candidates for sainthood. In order to counter these abuses, Urban VIII asserted that henceforth, written works were not to be published about purported saints and their supposedly miraculous lives and actions, without the approval of the Holy See. For it was within the purview of the Holy See alone to determine whether any allegedly supernatural events really did take place during the life (or after the death) of a possible saint. Not a single one of the stories of “miraculous cures” which have been disseminated by the shrine in Mugnano del Cardinale for decades has ever been approved by Rome. The clergy and others who declare that “person X was cured through the intercession of Saint Philomena” have absolutely no authorization to make these statements, and are thus in direct violation of church law on the subject. 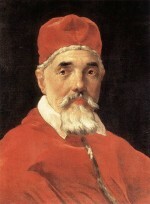 The fact is, for a miracle officially to be attributed by the Church to the intercession of a particular person, a lengthy investigation is required—involving detailed examinations by both medical experts (to ascertain that a cure truly was medically inexplicable), and by the Vatican (to determine that the miracle is indeed attributable to a specific person’s intercession). By way of comparison, take a look at the Vatican’s own account of the miracle which was attributed to then-Blessed (now Saint) Josemaria Escriva in 2001. The meticulous (and complicated!) process that must be undergone before any healing can be deemed a “miracle,” and before that miracle can be attributed to a specific person’s intercession, should be evident. It might be objected that Saint John Vianney used routinely to tell his parishioners that the answers to their prayers were obtained for them by Saint Philomena. This is of course factually correct, but Vianney certainly was not speaking authoritatively—and judging from his deep personal humility and sense of obedience, he would be the first to defer in this matter to the Holy See! It’s also worth observing that for some time, Vianney refused to bless images of Our Lady of LaSalette, because he had erroneously concluded that it was not authentic. Once the apparition was approved by Rome, however, Vianney accepted the decision without hesitation. In short, while John Vianney was unquestionably a great saint, his opinions do not “trump” those of the Roman Pontiff. Undoubtedly the greatest confusion regarding Philomena was caused by the then-Congregation of Rites under Pope Gregory XVI, when it approved a local liturgical commemoration of Philomena in 1837. Why this was done is unclear to this very day, and it put Philomena into an extremely odd situation, as a non-saint who had nevertheless been accorded a feast-day in the diocese where her tomb is located. Note that if this liturgical commemoration had been instituted not in 1837, but back in the 4th century A.D. by Philomena’s Christian contemporaries, her status today would be completely different! The Catholic Church would accept that centuries-old decision, made by Christians who would have known first-hand who Philomena was, and how she died—and she would thus be in essentially the same situation as Saint Lawrence, discussed above. If this had happened, there would be no fundamental doubt that Philomena was an early Christian martyr. But it didn’t. This is why, under Pope John XXIII, the then-Sacred Congregation of Rites ordered the feast of “Saint Philomena, Virgin and Martyr” to be expunged from all liturgical calendars. (The official text can be viewed here, on page 174.) Frankly, it should never have been put into the calendar in the first place! This action should properly be viewed as a calendar correction—and not as the “decanonization” of a previously canonized saint. It must be emphasized that there is absolutely no gray area here. That’s why it’s so bewildering to encounter Catholics—not only in the area of Mugnano del Cardinale, but also in the United States—who defiantly insist that “Saint Philomena” was wrongly removed from liturgical calendars in the 1960’s. (The Vatican’s chief expert on this very subject stared at me with his mouth open, stunned and aghast, when I described the American aspects of this phenomenon to him some years ago. In the eyes of Rome, this matter has been closed for over 50 years.) When the former Congregation for Rites granted permission in 1837 for the local commemoration of Philomena on a set feast-day, this did not constitute canonization. In the entire history of the Catholic Church, Vatican offices have never had the authority to canonize anyone. And for the past 800+ years, only the Holy Father can personally do that! By way of example, watch the canonization of Kateri Tekakwitha and six others in October 2012 by Benedict XVI. The solemnity of the Pope’s pronouncement should be obvious—and it should be clear that there is absolutely no comparison between the canonization of a real saint like Kateri, and the mere insertion of a feast-day into a local liturgical calendar by a Vatican office, as was once done for Philomena. Metaphysically speaking, it is entirely possible that there really was a Philomena, who was martyred during the Christian persecution under Emperor Diocletian in the 4th century A.D. The whole story may be true! But the Pope does not canonize people as saints unless the evidence is as rock-solid as can possibly be. “Maybe” is not good enough. This entry was posted in Other Canonical Questions and tagged canon law, canonization, canonize, Catholic, Philomena, saint. Bookmark the permalink.